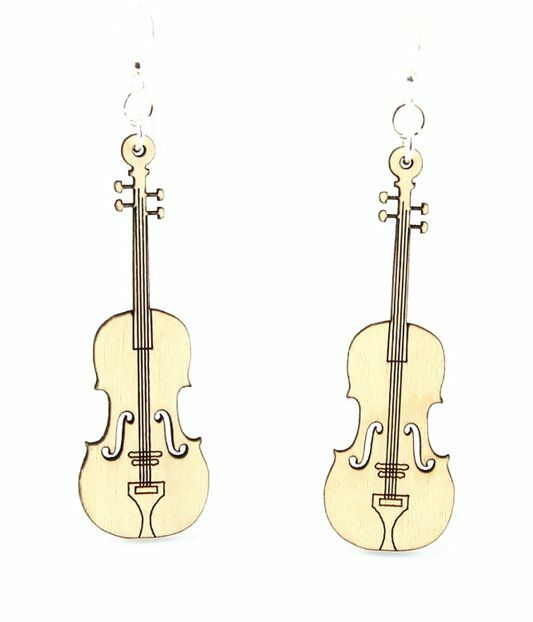 Violin Earrings made from eco-friendly wood! The violin is a string instrument, usually with four strings tuned in perfect fifths. It is the smallest, highest-pitched member of the violin family of string instruments, which also includes the voila and cella. The violin is sometimes informally called a fiddle, regardless of the type of music played on it. The word violin comes from the medieval Latin word vitula, meaning stringed instrument.